I haven't posted an update on Gold for quite a long time. 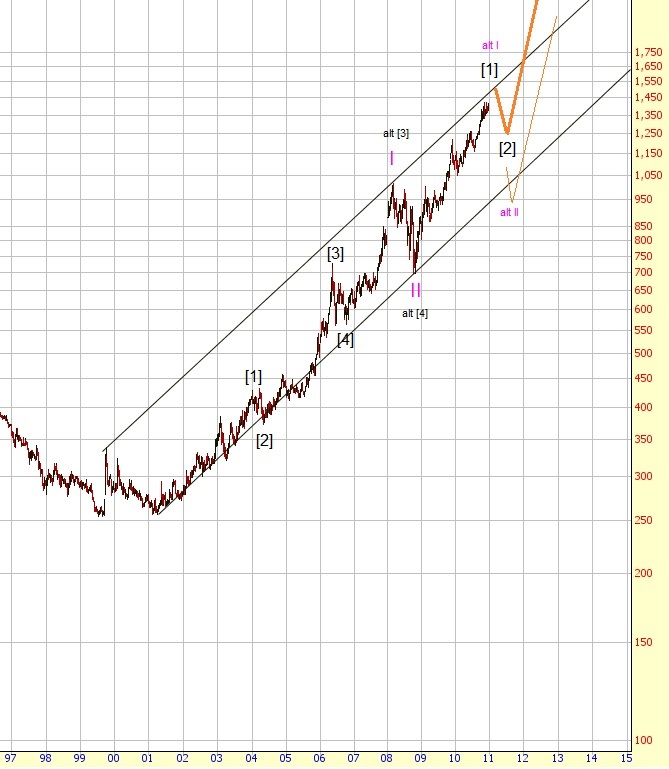 Back in May last year I expected some kind of an extended fifth wave to complete the rally which started ten years ago. The big up wave? Isn't gold in a bubble already? I don't think so, as you can see in the chart above there wasn't really any absurd exponential rise in gold, it looks more like a healthy bull market. So, I think the gold bubble has yet to start! As you can see gold usually peaks mid February, moves sideways for half a year and then starts a big rally late August. In the past decade this has worked almost every year, thus I don't see any reason not to expect the same happening again in 2011: a top in February, a correction until late August and then the next rally.